Here is another super clean and healthy, yet incredibly tasty and satisfying recipe for you! I've made it the last 2 out of 3 days! That's how good it turned out! Easily one of my new favorites! And my kids devoured it too! This recipe can stand as a meal all by itself or as an accompaniment to teriyaki chicken, beef or pork! Try it and you will love it! First, put your brown rice and vegetable stock in a medium saucepan over high heat. Bring it to a boil, then reduce heat to low, cover the pan and cook for 45-50 minutes. 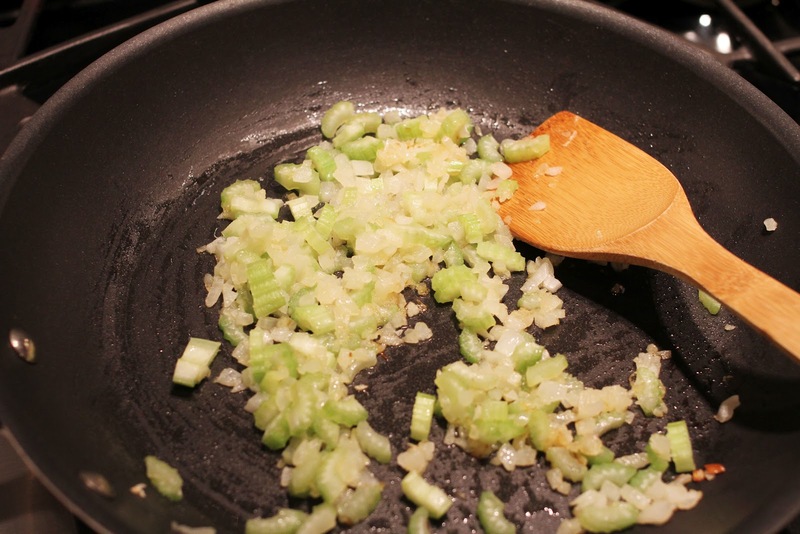 About 30 minutes before your rice is done cooking, chop your onion and celery and put in a large saute pan with 2 tablespoons of olive oil. Allow the onion and celery to get tender over medium heat. 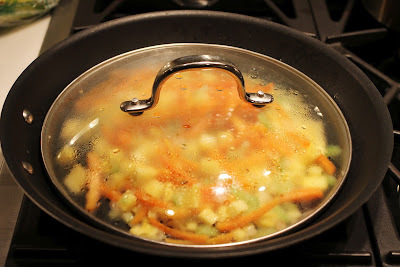 Next, add your cubed rutabaga and quartered baby carrots to the tender onion/celery mixture. 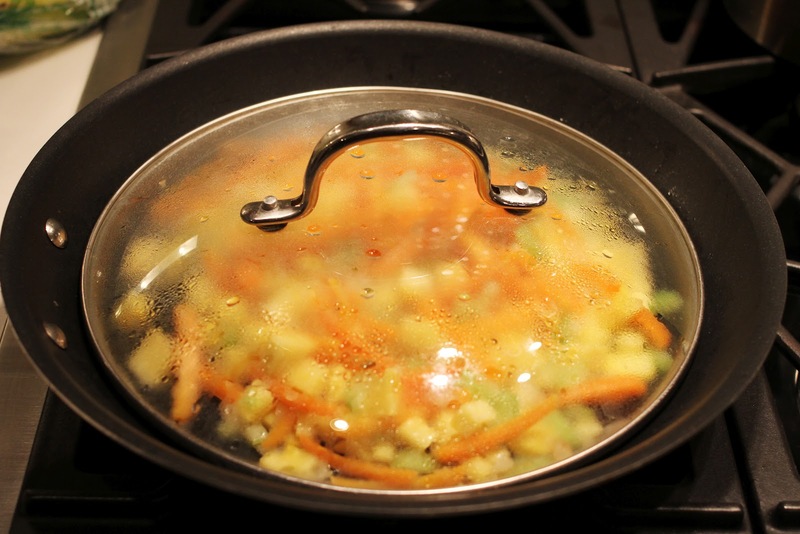 Stir and cover with a lid to cook for 10 minutes over low heat. 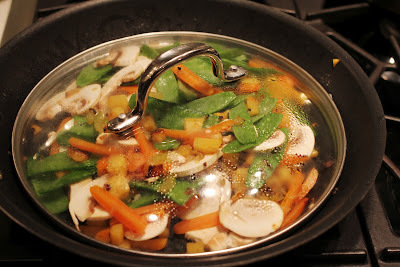 Once the rutabaga and carrots have cooked for 10 minutes, stir in the snow peas and sliced mushrooms. Cover and cook for 5-10 minutes continuing over low heat. 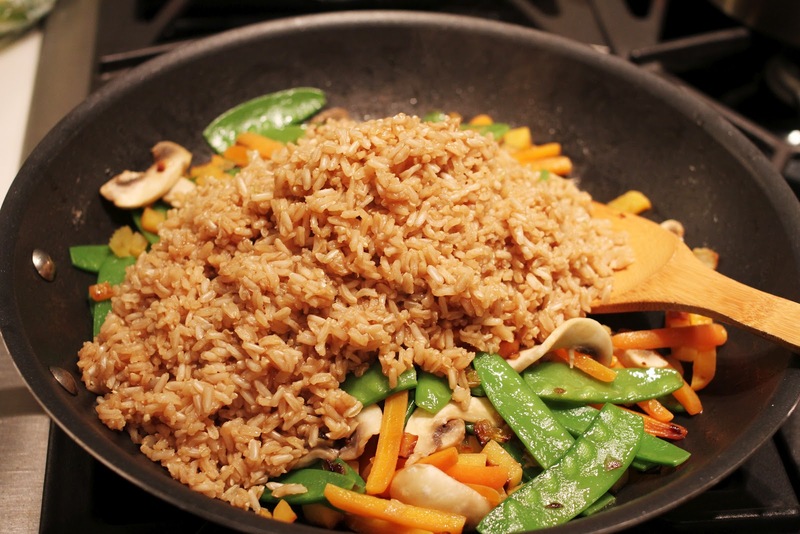 Add your cooked rice to the veggies and stir well. Turn the heat back to low. Now it's time for the soy sauce. Mix it in thoroughly. Add salt & pepper to taste and ENJOY! Makes 4 generous servings! I've been looking forward to this recipe! I was a lucky recipient of this stir fry and am happy to see that even I might be able to make this :) seems pretty simple but has the perfect amount of flavor! Love it! Oooooo . . . looks delish! This will DEFINATELY be on my menu this coming week! I love that you are sharing such yummy and healthy recipes (thanks)! :) Love you! This looks SO good! I love brown rice. What is rutabega? I've never cooked with that before... Thanks for such a great, healthy recipe! That looks amazing! I want that in my belly. Thanks Gals! It really is so yummy! You guys will love it! Natalie, the best way for me to describe rutabaga is a cross between a sweet potato and a squash! 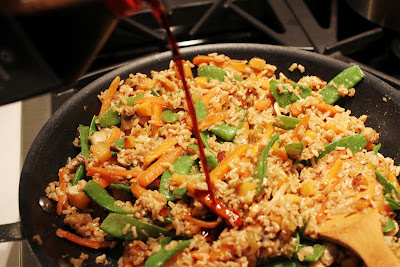 Really yummy and adds another great texture and slight sweetness too the fried rice! Kara made this for us tonight and it was soooooo good. I'm wishing I would've had seconds right now. Haha! I think there's still some up in the fridge! Glad you liked it! Luv you! I'm planning on making this for Sunday dinner (adding chicken as a "side dish" for the carnivores in my family. So yummy!!! Thanks again Kar! You are the best! Mom-you guys are going to love it! 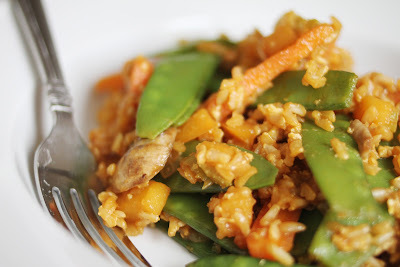 I love fried rice, so I'm way excited for this healthy version! Glad I'm not the only one who didn't know what a rutabaga is. :) Sounds good though, so I'll be sure to add it!